Carver Bikes produces some of the lightest, most innovative disc brake rotors on the market… We can tell you that all day long but the ultimate compliment / endorsement is having your components hand selected for use by one of the top cyclocross athletes in the world. 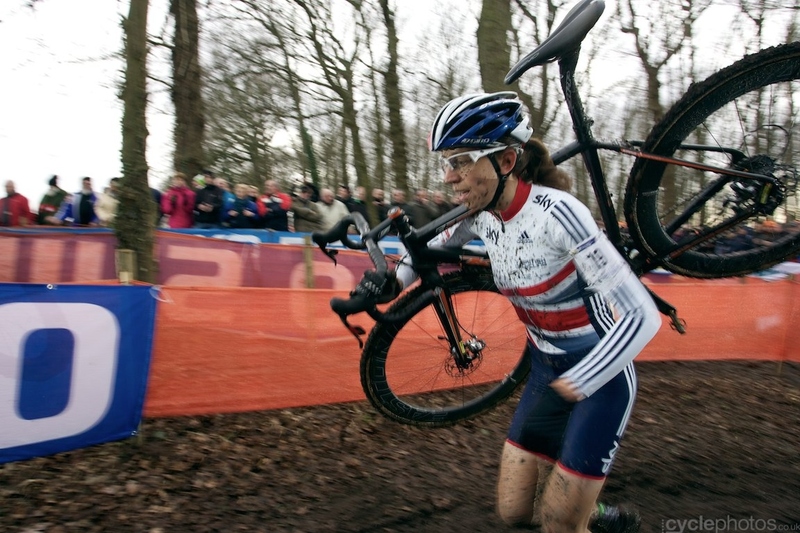 Helen Wyman chooses Carver rotors and has ridden them to podium finishes around the world including an Elite Women’s bronze medal at the 2014 UCI World Championships in Hoogerheide, Netherlands. Helen Wyman: I started to use Carver Rotors in late 2013. I was looking to make my transition to disc brakes better and I noticed the difference straight away. I used the vented rotor in dry conditions and my braking power was enhanced, and I saved all important weight on my bike. In the mud I used the specific mud rotor. As well as ensuring consistent braking all race, it significantly reduced brake pad wear, meaning I could race and train longer on the same pads.